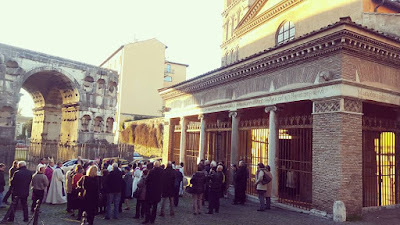 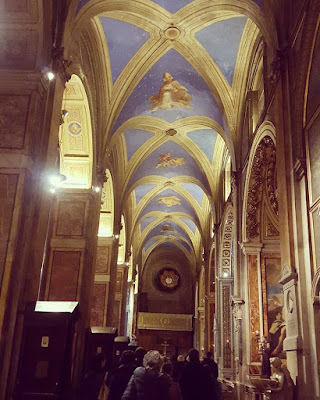 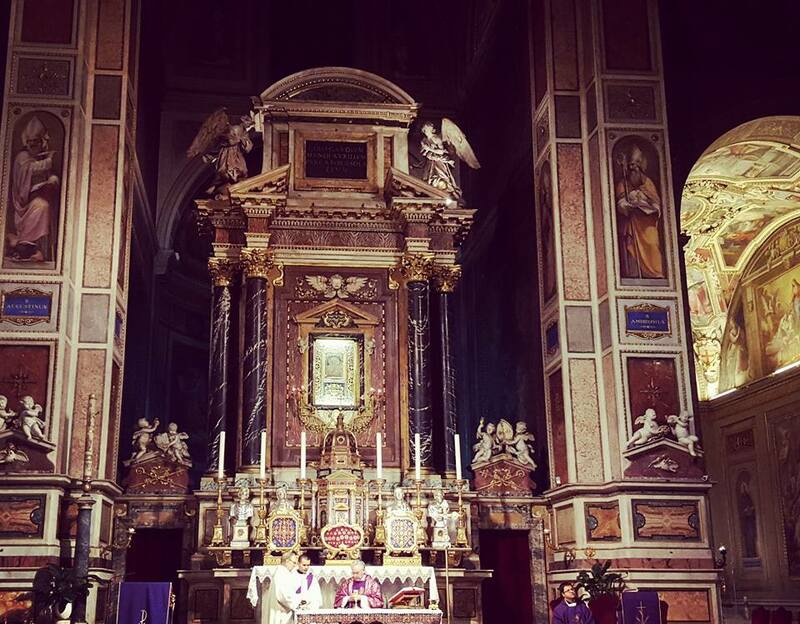 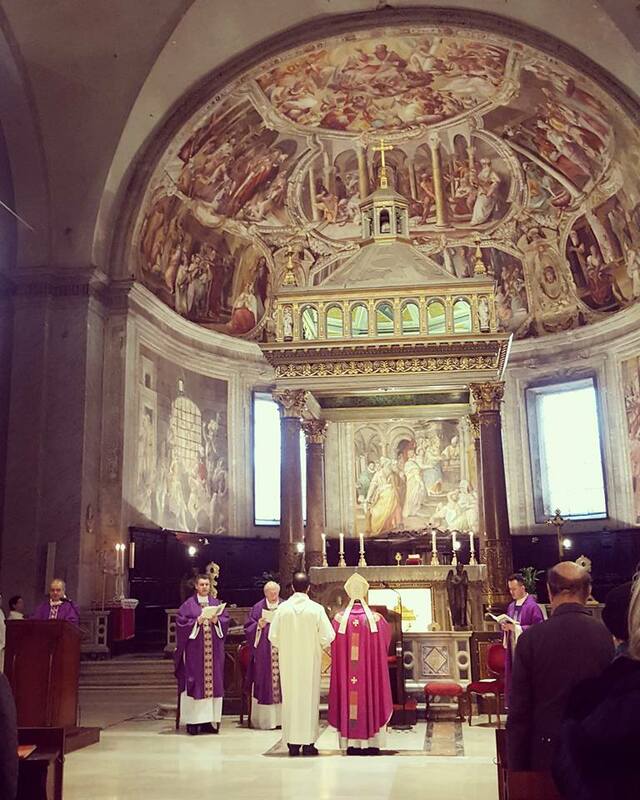 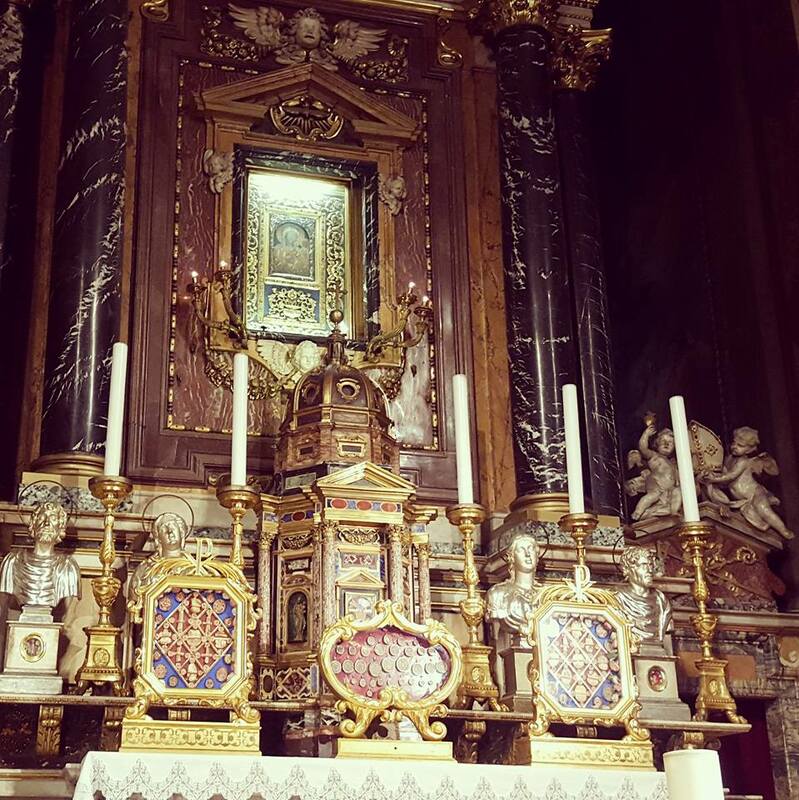 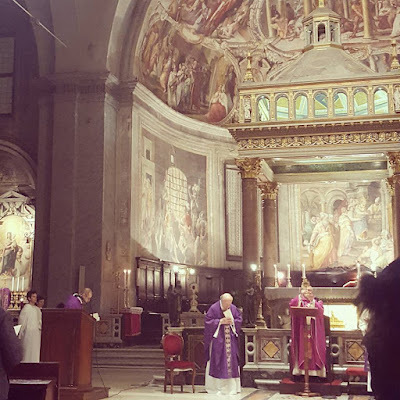 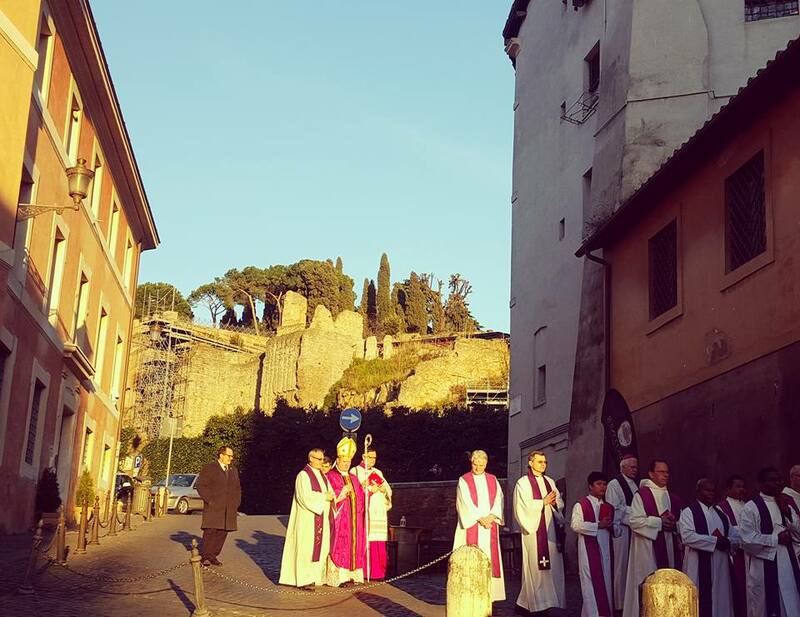 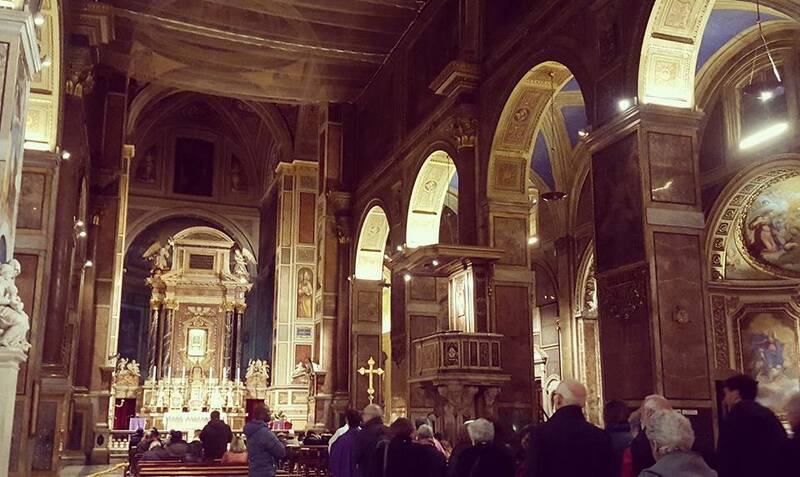 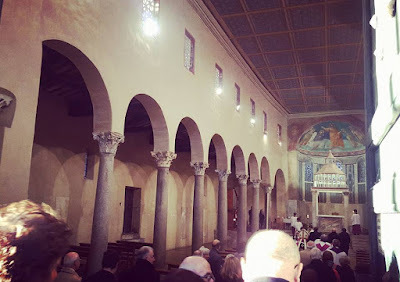 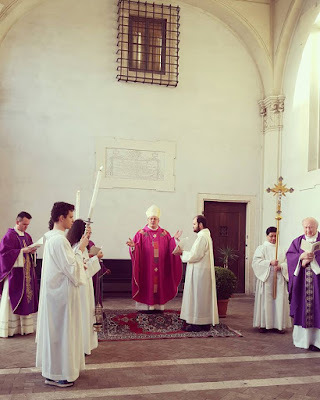 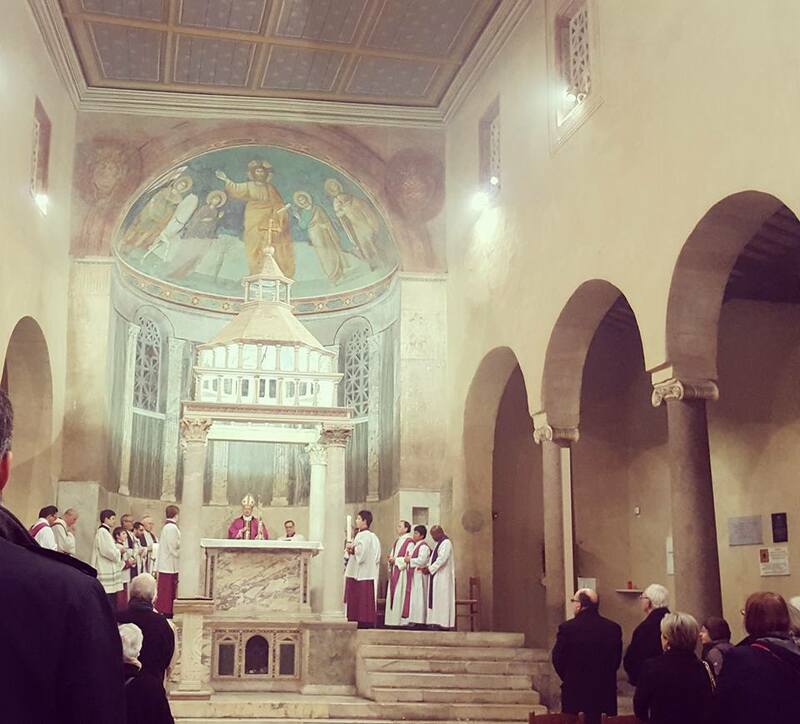 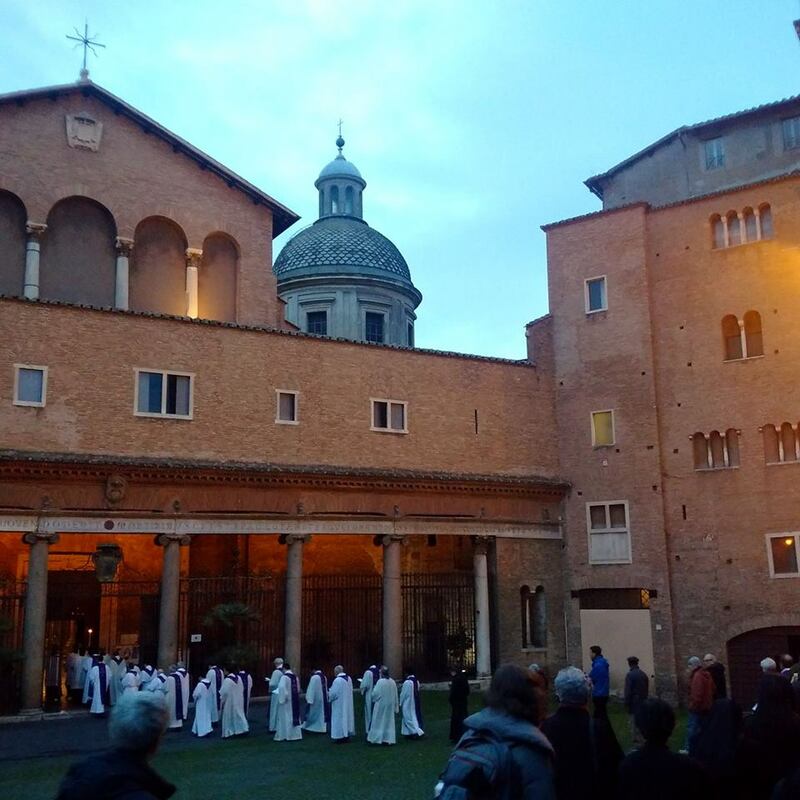 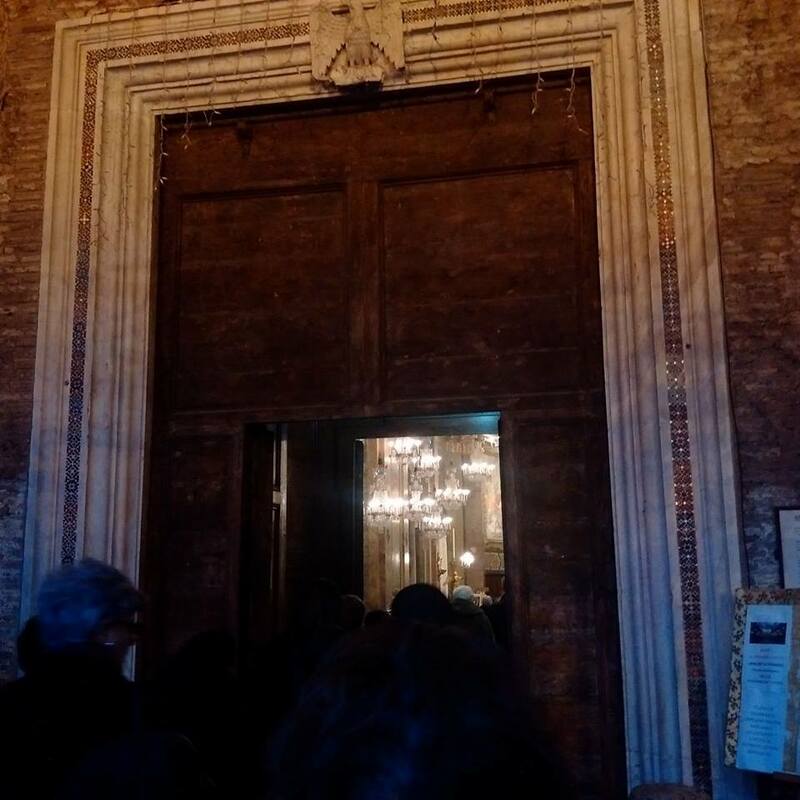 This year, my friend Agnese is once again attending the Stational Masses organized by the Vicariate of Rome throughout Lent, and as she has so kindly done on many previous occasions, is sharing her photographs of the ceremonies with us. A procession is normally held before the Station Masses, which, in accordance with the traditional Lenten discipline of the Church, take place in the evening; many of the churches bring out large numbers of reliquaries and place them on the altar, or somewhere in the church to be venerated by the faithful. 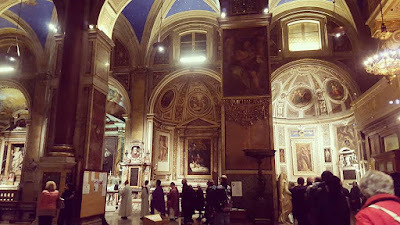 Agnese had to miss this station; these photos were taken by Mr Jacob Stein, to whom we are likewise very grateful. Procession outside the basilica before Mass. 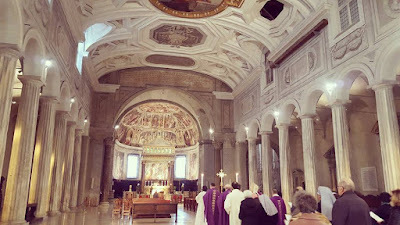 The dome seen here is not that of the main church, but of the large side-chapel where St. Paul of the Cross, the founder of the Passionist Order, is buried. 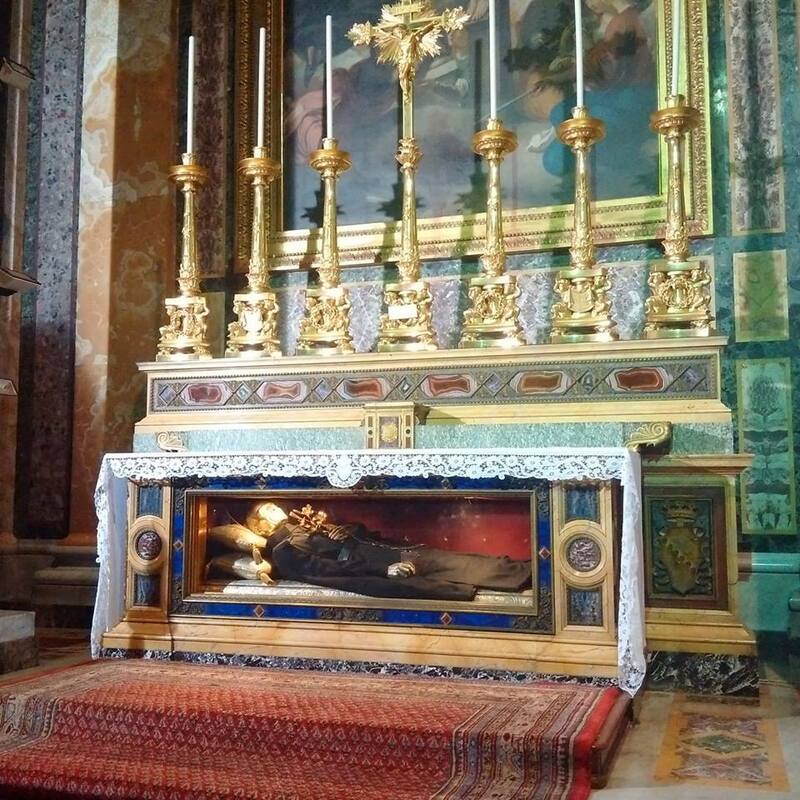 St. Paul had a brother named Giovanni Battista (John the Baptist), himself now a Venerable, to whom he was very close, and who was instrumental in helping him found the order. 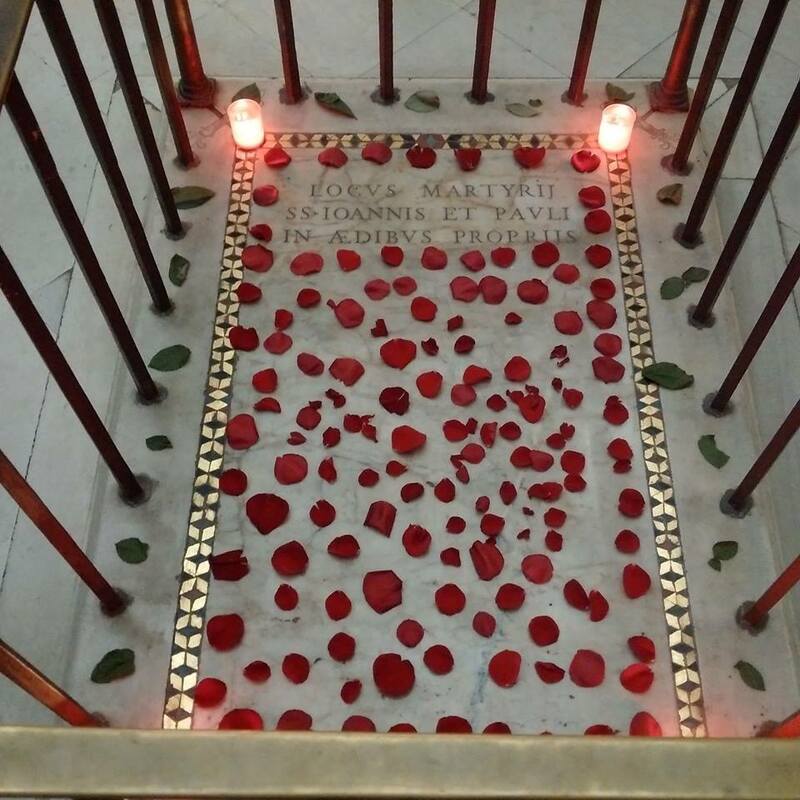 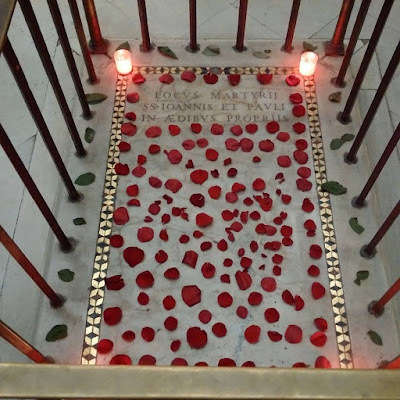 Many years after the latter’s death, Pope Clement XIV (1769-74) gave the basilica to St Paul to be the first “Retreat” (as Passionist houses are called) in Rome, in remembrance of his beloved brother, since the martyrs John and Paul were also brothers. 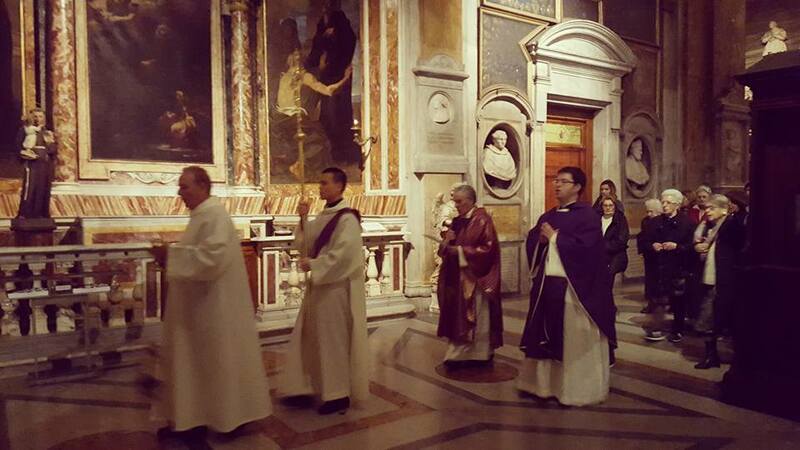 Blessing of the faithful with a relic at the end of the Mass.